Yes, you can set email delegations in Gmail quite easily. Delegation is actually giving access to your Gmail to another person so they can read, send, and delete messages on your behalf. For example, you can delegate e-mail rights to an admin in your organization, or you could delegate your personal email access to your spouse. The delegate can also access the other person’s contacts by clicking the Contacts link. Clicking the To, Cc, or Bcc links in the mail compose window will also bring up your contacts. 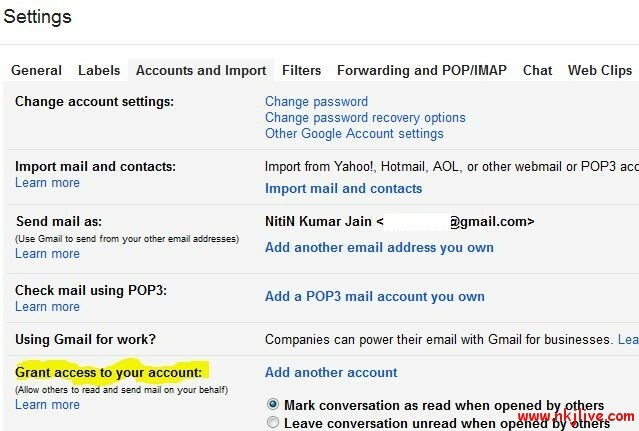 Click the gear icon in the upper-right and select Mail settings, and select the Accounts and Import tab. Under ‘Grant access to your account,’ click the Add another account link. Enter the email address of the person you’d like to access your account and click Next Step. Remember you can only enter a Google Mail address. You’ll see a confirmation message. Click Send email to grant access if you’re sure. The delegate will receive a verification email explaining that you’ve granted access to them.